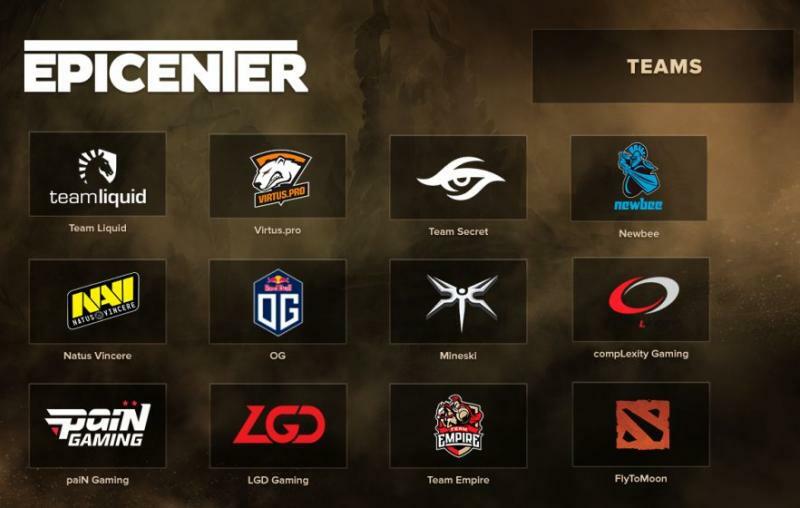 EPICENTER XL team list finalized! The past weekend saw decisive battles in the EPICENTER XL Dota 2 qualifiers. We are now ready to announce all teams competing in the tournament. Direct invitations to EPICENTER XL were sent to these renowned teams: Virtus.pro (Russia), Team Liquid (EU), Team Secret (EU), Newbee (China), and Natus Vincere (Ukraine). OG confidently won the EU qualifier, only losing a single game in their entire run. Mineski won in South Asia after prevailing 2-0 in the final over their main rival, TNC Pro Team. In the North America qualifier, the most dramatic of all, compLexity Gaming bested the tournament’s main favorites, EG, 3-2 in the final. In South America, Brazil-based paiN Gaming emerged as the strongest team, after a final in which they made short work of their key rivals from SG e-sports. Winning the CIS qualifier proved no easy feat for Team Empire, who faced heavy resistance in their decisive match against the new team FlyToMoon. LGD Gaming scored a spectacular victory in the China qualifier, winning 9 games in a row and destroying VGJ.Thunder in the final. FlyToMoon (Russia) became the final team to make it to EPICENTER XL, after winning the fully open Madness qualifier, which was joined by nearly 300 teams from all over the world. We congratulate all participants and are looking forward to seeing you in Moscow on April 27–May 6, at one of this year’s most important tournaments!